In this talk, Tim Lang grapples with the issues surrounding what is a good diet for people's health and environmental sustainability. He moves from the work of Ancel Keys to Sweden's attempt to address this through policy changes in the EU to the failure of the 2nd International Conference on Nutrition to tackle the crucial big issues. One of the central ones being 'do I eat fish?'. He rejects nanny corporations as the entities telling us what to eat through their marketing but grapples with the problems of eating meat, dairy and fish as well as over, under and mal consumption. The science on both environmental and public health nutrition grounds agrees a plant based diet is best but this has to be produced in ways that safeguard biodiversity. Achieving sustainable diets is a political issue as it is about questions of control. Following a century which separated people from their roots he calls for a contract and converge approach to achieving both sustainable diets and the sustainable development goals. Centre for Food Policy, City University, London. The Centre for Food Policy researches and educates on how policy-making processes work and how they both reflect and shape the nature of food supply and consumption. It is interested in the policy place of food in society and the impact on health, environment, social justice and economy. 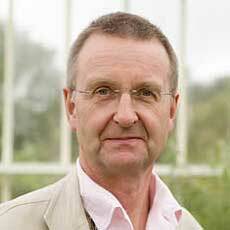 Tim Lang is Professor of Food Policy at the Centre for Food Policy, City University London. After a PhD in Psychology at Leeds University in the 1970s, he became a hill farmer in Lancashire for 7 years, which inspired his work ever since. He researches the role of policy in shaping and responding to the food system, particularly in relation to health, environment, social justice and consumer culture. He has worked for decades on how policy-makers do and do not address the mismatch of food and social systems with planetary / human health. He been a member of many UK Government bodies (eg, UK Council of Food Policy Advisors, 2008-10, Sustainable Development Commission 2006-11), and Parliamentary Committees (eg, advisor to 4 Select Committee inquiries). He has advised the European Commission and Parliament, and various UN agencies (WHO, FAO, UNEP). He is PI on the inter-university Food Research Collaboration of British academics and civil society working for a better food system (2014-17). He is currently PI on the EU 7th Framework GLAMUR study (2014-16) on the local/global in food systems. He is PI on the HEFCE-funded IFSTAL project creating innovative links for food-related post-graduate education on food systems with Oxford, Reading, Warwick and London Universities (2015-18). He is a Fellow of the Faculty of Public Health, Vice-President of the Chartered Institute of Environmental Health, a Trustee of Borough Market, London, and a member of the London Food Board. He is the author of 200 papers, reports and books. He is co-author of Ecological Public Health (2012), Food Policy (2009), Atlas of Food (2008), Food Wars (2015, ed 2), Unmanageable Consumer (2015, ed 3), and is currently co-writing a book on sustainable diets (Routledge, 2016). Tim Lang is currently not available for follow-up via the internet.